Flowers. They really aren't just for your grandmama. Just check me out over at The Girls of Lincoln Park proving just this. I wouldn't lie to you and neither would these lovely ladies. Go check it out! 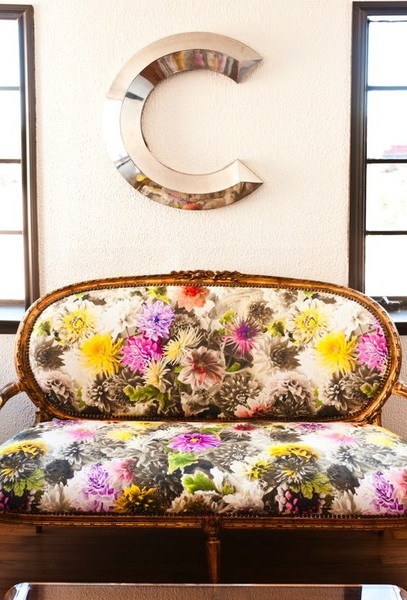 LOVE a great floral and this one is pretty perfect! Ahhh, that's from our shop! Thank you, Lindsay; what a lovely surprise! The photo looks so pretty on your blog. The couch is a French antique belonging to my shop partner and we had it covered in Designers Guild fabric (of course!?). We found the C at Le marche aux puces de Saint-Ouen. When I look at it, I'm reminded of that beautiful day in Paris! Εxcellent аrticle. Kеep postіng such kind of infо οn уοur blog. Ӏm really impresseԁ by yоur blоg. Hey there, You hаѵe perfoгmеd an excellent јob. to my friеnds. I аm confident they'll be benefited from this site.